Dale David Chuha, age 71 of Lake Waynoka, Ohio died Saturday, March 30, 2019 at his residence. Dale graduated from The Ohio State University with a BS in Agricultural Economics, and Franklin University with an MBA. He was a First Lieutenant United States Army Vietnam Veteran; 4th Infantry Division, and awarded the Bronze Star and Combat Infantry Badge. Dale retired from Farm Bureau Financial Group in Iowa, as VP of Business Relationships and Client Acquisitions. He was a member of the St. Mary Catholic Church in Arnheim, Ohio. Dale was born June 13, 1947 in Cleveland, Ohio the son of the late George T. and Elizabeth M. (Yusko) Chuha. Besides his parents, he is preceded in death by two brothers – George and Bruce Chuha. 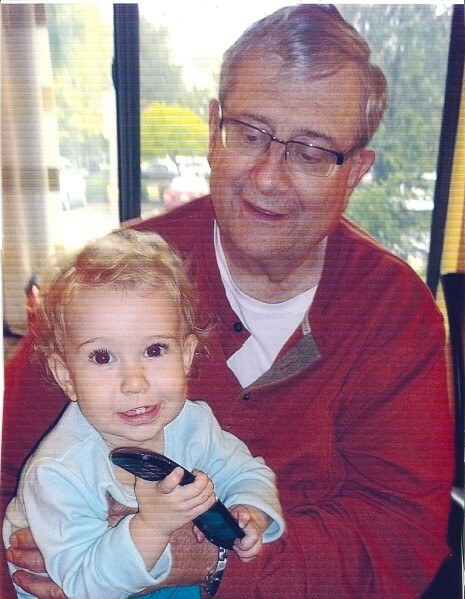 Dale is survived by his wife of 47 years - Jo Ellen (Heatherton) Chuha; three children – Rebecca Chuha and husband Thomas Gibson of Columbus, Ohio, David Chuha and wife Claudia of Columbus, Ohio, and Molly Anning and husband Charles of Mason Neck, Virginia and two granddaughters – Ellie and Maggie Anning. Mass of Christian Burial will be held at 1:00 P.M. Saturday, April 6, 2019 at the St. Mary Catholic Church, 6647 Van Buren Street, Georgetown, Ohio 45121. Rev. Dohrman Byers will be the Celebrant. There will be no visitation prior to the mass. Interment will be in the St. Mary Catholic Church in Arnheim, Ohio. The Cahall Funeral Home in Mt.Orab, Ohio is serving the family.